› This residential building, to be completed in 2018, will be one of the tallest buildings in the city. › However, living here may cost you a pretty penny, with an average price of $17 million. › The 94-floor building was designed by esteemed Chicago-based architecture and design firm, Adrian Smith + Gordon Gill. › Apple’s now soon-to-be headquarters in Silicon Valley has been dubbed the “spaceship” for its UFO-looking circle shape. › Originally estimated to cost under $3 billion, current estimates put Campus 2 around $5 billion. 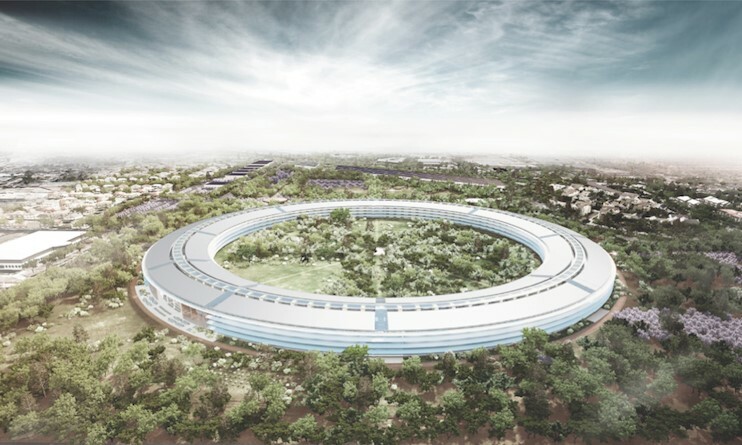 › Designed by UK architects Foster + Partners, who are rumored to be in talks to also design new Apple Stores. › The loop structure, which is over a mile long, places an emphasis on green space, allowing room to plant over 72,000 trees. › Campus 2 was one of the last great visions of Steve Jobs, inspired by the Stanford campus. › Another luxury residential building, this time designed by world-renowned Rafael Viñoly Architects. › The grid-like structure was inspired by a trash can. › The penthouse apartment, boasting six bedrooms and seven bathrooms, reportedly sold for over $95 million. › Currently topped-out, the building should open later this year. › This residential home, owned and built by a former CIA officer, will be one of the largest residential homes in the US, totaling a dumbfounding 72,215 square feet. › Despite its massive size, the home is designed with its carbon footprint in mind, using insulated concrete and geothermal heating. › The house is designed to be nearly everlasting —being earthquake and tornado resistant, fire retardant and even bulletproof. › The construction is ongoing, with no set completion date. › The Pensmore Mansion is so large, it’s even bigger than the White House. › Facebook’s new headquarters, near the Stanford University campus in San Francisco South Bay Area, was designed by LA-based architect Frank Gehry and opened just this past year. › CEO Mark Zuckerberg wanted the space to have a dorm-like feel, placing an emphasis on collaboration. › The new location can house 9,000 employees. › The new headquarters features an expansive rooftop garden, complete with 400 trees and a running path. › Facebook employees are told to personalize their space – adding artful graffiti to the campus as they wish. Did we leave out a building you think deserves the spotlight? Which architectural marvel are you most excited about? Let us know by commenting below, connecting with us on LinkedIN and liking our Facebook page!